Who must file US taxes with the IRS? If you have a US Company doing business in the US, your company is subject to IRS tax rules. If you are not a resident of the US and you own a US company, or are a foreign company doing business in the US, then your company is also subject to US IRS tax rules. U.S. corporations owned by foreigners and their filing requirements. Many of our competitors write that as a foreign client you are not required to file a tax return. All companies in all of the 50 states are required by the IRS to report and file "worldwide income". However, in many instances, foreign tax credits are given on a dollar-for-dollar basis for taxes paid in foreign countries. Regardless of the tax consequences, all US based corporations are required to file annual Federal Income Tax returns, even if they are informational only (No Income or No Activity). As far as filing in countries outside of the US, all income is subject to taxes in the country that it is declared and is based on that countries tax rules. Failure to declare income in the country that it is earned in may result in tax penalties by that country. Tax evasion is illegal. However, tax avoidance, structuring your affairs to produce the lowest legal tax consequences, is not only legal it is necessary in today’s hectic business world. The failure to file a return is a serious matter. We can provide assistance and help prepare and file current and past corporation federal and state returns. If you have not filed taxes for the past five years we will gladly give you quotes as well. 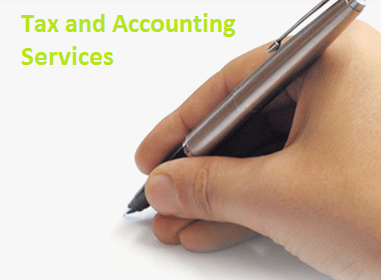 Our Accounting Partner Friedman Accounting, Inc. has added to their array of accounting and tax filing services monthly, quarterly or yearly bookkeeping and payroll services to help you keep corporate records. The firm is Certified in Quickbooks and ProAdvisors. Friedman Accounting will help you and your business create and implement financial strategies to achieve your goals. All corporations unless exempt under Section 501 of the IRS Internal Revenue Code who have been in existence since the beginning of the tax year including corporations in bankruptcy must file an income tax return whether or not they have taxable income.